'Humane and civilised' execution in the Philippines. So wrote one reporter after the execution of Ellen Thomson at Boggo Road, during which the rope cut into her neck and blood gushed over the floor. And he was right. Hanging is one of the most unpredictable methods of execution and often did not go according to plan (which in the late 19th century was to break the prisoner's neck quickly and cleanly). However, some prisoners in Brisbane were strangled to death as a result of the 'drop' not delivering enough force to the neck, while on other occasions the head would be almost removed due to too much force. In fact, on one memorable occasion in 1879, the prisoner's head WAS completely pulled off when he reached the end of the 'drop'. 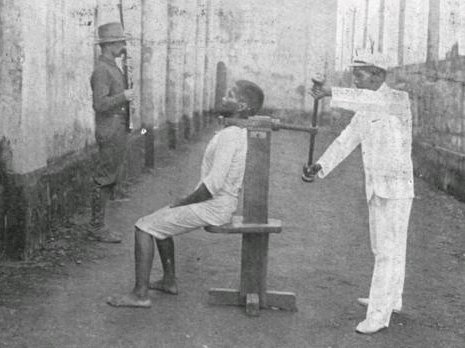 There was much debate around that time as to the best method to use, and while the French still used the more predictable guillotine, the electric chair was being developed in the USA. The unpredictability of hanging drew occasional comment in Queensland newspapers on the subject of alternative execution methods. These correspondents apparently gave a lot of thought to the subject, some of them much more than seemed healthy. A Queensland Times correspondent of 1874 suggested that it was ‘by no means certain that in hanging and beheading that death is instantaneous’, and so suffocation by carbolic acid gas should be used. The writer recommended that, after the prisons of the colony had been ‘furnished with air-tight cells and other proper apparatus’, execution could be carried out in what amounted to a gas chamber. 'D.H.F. 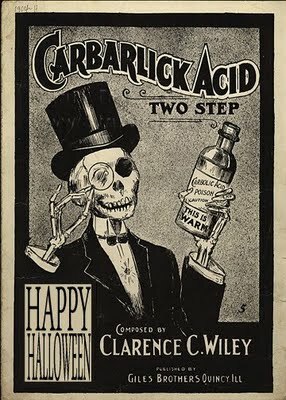 ', another advocate of carbolic acid gas, went to greater lengths in 1892 and described the required apparatus, which he felt was ‘far preferable to hanging, decapitation, garroting, or this new-fangled “electrocution”’. Just before the first Boggo Road hanging took place in 1883, 'Verdugo', a correspondent to the Brisbane Courier, described hanging as ‘a troublesome, difficult, and illiterate', and advocated poisoning condemned prisoners in their sleep and then hanging them afterwards for the statutory hour. Despite all this 'expert' advice, no garrotting chairs, gas chambers, midnight poisoners or drowning tanks were ever required at Boggo Road and the Queensland government persisted with hanging until the last execution took place in 1913. They must have been reassured, however, that upstanding citizens were out there devising new-fangled murder contraptions and sharing their plans in the newspapers.